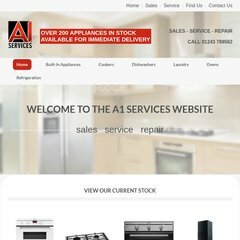 Topics: Find Us, Built In Double Ovens, Built In Hobs, Built In Single Ovens, and Cooker Hoods. The programming language environment is PHP/5.3.8. dns.us-noc.com, and dns.uk-noc.com are its DNS Nameservers. It is hosted by Uk Noc (England, Hempstead,) using Apache web server. PING (77.72.202.83) 56(84) bytes of data.